CoolMiniOrNot is running yet another interesting KS campaign. This time they've joined forces with Micro Art Studio - a Polish company that has been in the business for over a decade. MAS is particularly well known for producing top-notch resin bases. Now they've created something new - some awesome base inserts that are actually cast in... plastic. It makes them much easier to work with as your plastic miniatures are going to hold tight without the need to pin them in place. The campaign is already a success. 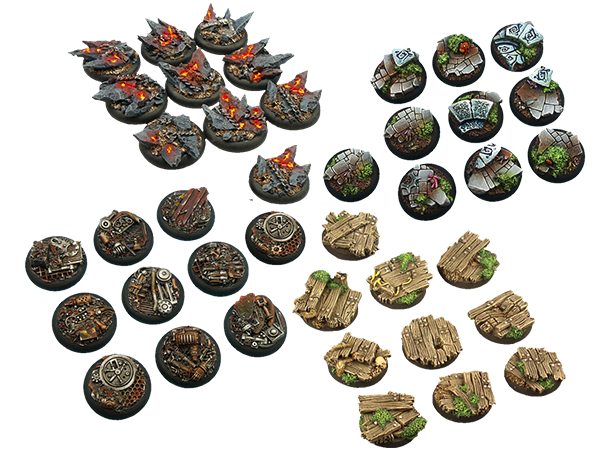 At the moment there are five styles of bases to choose from. For the price of $22 (plus the shipping cost) you're getting 34 (!!!!) bases. That's 34 standard lipped bases with 34 plastic inserts. A really great deal, well worth considering if you're using this type of bases. Check out the campaign page here.